We have plenty of modern tractors for sale on TradeFarmMachinery at the moment – thousands, actually! 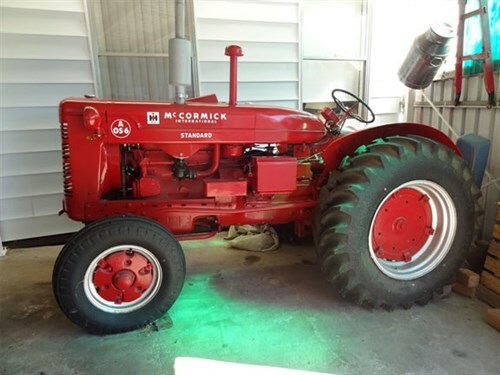 We’ve been responsible for helping a few vintage tractors find new homes, and we put together a list of six old timers that might tickle your fancy. The present custodian of this old American ex-pat says it’s very rare, and they’re right. 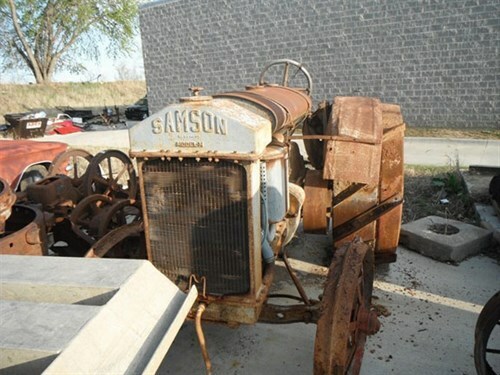 When GM purchased Samson, the Model M was meant to compete with Ford’s tractor-of-the-day, the Fordson. However, Ford’s faster (and cheaper) production meant GM had no choice but to end the Model M after only a couple of years. This child of the mid-‘50s is actually home grown, built in Geelong, and has apparently not strayed far. It’s in Myrtleford, just a couple of hours’ drive up the Hume from Melbourne – unless you’re driving this, of course. That could take a day or more, considering a good chunk of it is uphill. The current owner says it’s been fully restored and, judging from the clean paint and new tyres, it was done with great care. It even works, which is a plus. If you looked at the last McCormick and thought ‘where’s the challenge in that?’, then you’re in luck. For the masochists out there, we included a very similar model, from the same year, and for about a third of the price. The catch? You get to do the resto yourself! The owner says he found it and towed it home, but checked the radiator and replaced a few bits-and-pieces such as the plugs, leads, and hoses. He reckons it’s fun to drive, and even comes with a post-hole attachment. We don’t know too much about this particular example, but it looks to be an overall sturdy machine. A quick bit of research reveals the year to be between the mid-‘50s and early ‘60s, but this one doesn’t look quite that old in terms of wear-and-tear. As usual, we recommend a thorough look over before making any decisions, but the owner says this one runs well and has "good tyres, gauges, and badges". 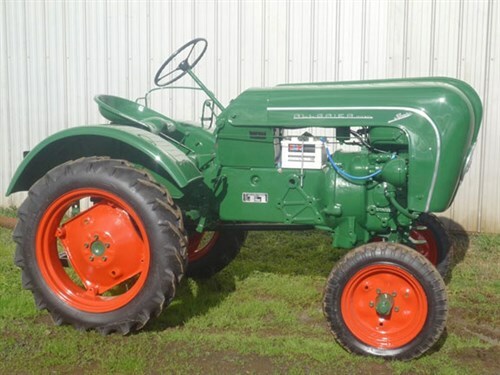 Car jokes aside, this ’53 single-cylinder tractor looks to be properly restored, even if green might not be the original colour (search it up… you’ll be seeing red). 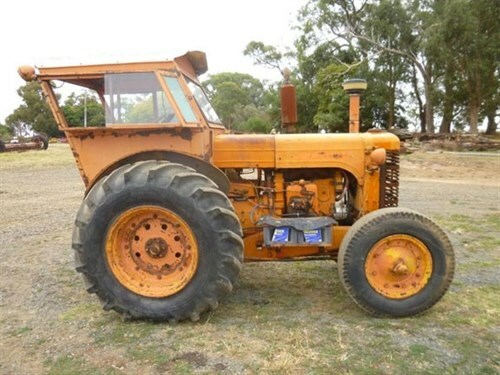 It isn’t the oldest tractor on the list, but it’s certainly the most unusual. 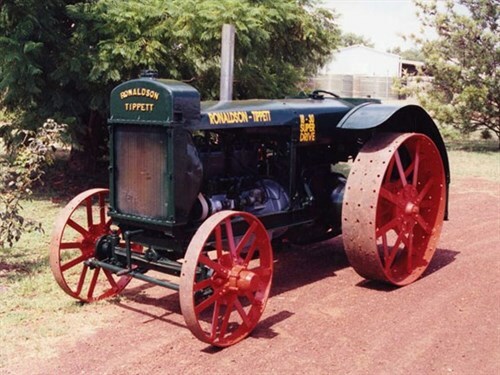 The Ronaldson Tippett for sale on TradeFarmMachinery is in original but restored condition, so what you see is what you’d have gotten back in 1926. 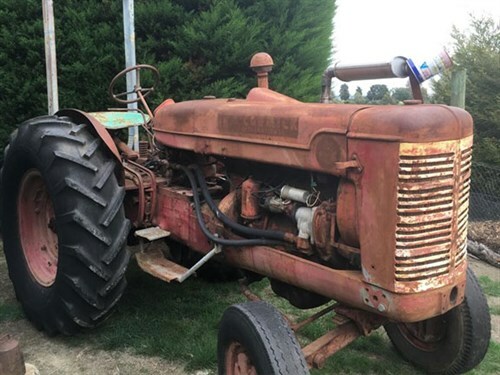 A motor overhaul and a new radiator core make this tractor sound more reliable than a rainy forecast in Melbourne, but we’re not sure if it should really be put to farm-use… especially with the seat missing. These tractors were all for sale at time of publication, but may have sold since.